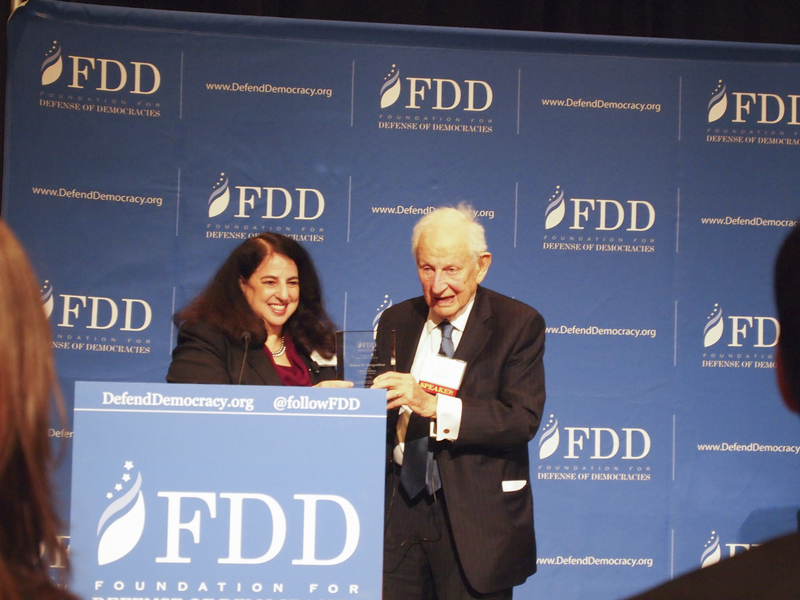 Yesterday, former Manhattan District Attorney Robert M. Morgenthau accepted the inaugural Alberto Nisman Award for Courage during the Foundation for Defense of Democracies’s Washington Forum. Argentine Prosecutor Alberto Nisman pursued terrorists and justice relentlessly, even while his evidence trail more recently was at odds with his government’s foreign policy. He did so at peril to his own life. He was a man of great determination and he was a man of great courage. It is because his courage inspired so many that FDD has established an award in his memory. Through this award, through the new AlbertoNisman.org website, and through our work uncovering Iran’s illicit activities that endanger the Western Hemisphere and beyond, FDD is committed to continuing his legacy and keeping alive the work of his investigation. 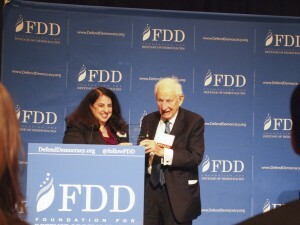 FDD, chose former Manhattan DA, The Honorable Robert M. Morgenthau as the inaugural recipient of the Alberto Nisman Award for Courage because of the 35 years he spent relentlessly pursuing criminals, terrorists and those who enable them. View the full remarks from former Manhattan District Attorney Robert M. Morgenthau, the first recipient of the Alberto Nisman Award for Courage.